Being a digital nomad in Europe doesn’t mean missing out on winter sun: you don’t necessarily have to travel to Asia to get your vitamin D fix. Staying in Europe during winter as a digital nomad has many advantages if your main clients are in Europe: you can easily travel to have meetings with them and the time difference will not be an issue. This blog post was inspired by a thread on Reddit about digital nomads and best places in Europe to spend the winter months (if you don’t like the cold and the snow, that is). The assumption in this article is that, as a digital nomad, you are looking for places where you can enjoy milder weather and run your business activity. Canary Islands was the first reply on the Reddit thread. In winter, temperatures average 20 degrees Celsius and rainfall is rather low. Digital nomad André Gussekloo recommends Las Palmas in Gran Canaria, in particular, because of its availability of free wifi and co-working places. Spain is a popular winter destination, for digital nomads and non-nomads. Valencia and Seville were recommended in the Reddit thread. Southern Spain is generally warmer; don’t forget the Balearic Islands too. Temperatures in Southern Italy can be very mild in winter, however in recent years it snowed even in Sicily, causing major disruptions. Infrastructure can be less than modern and availability of wifi can also be an issue (check this thread on https://nomadforum.io/t/how-is-sicily-for-digital-nomads/4778/5 for more details). 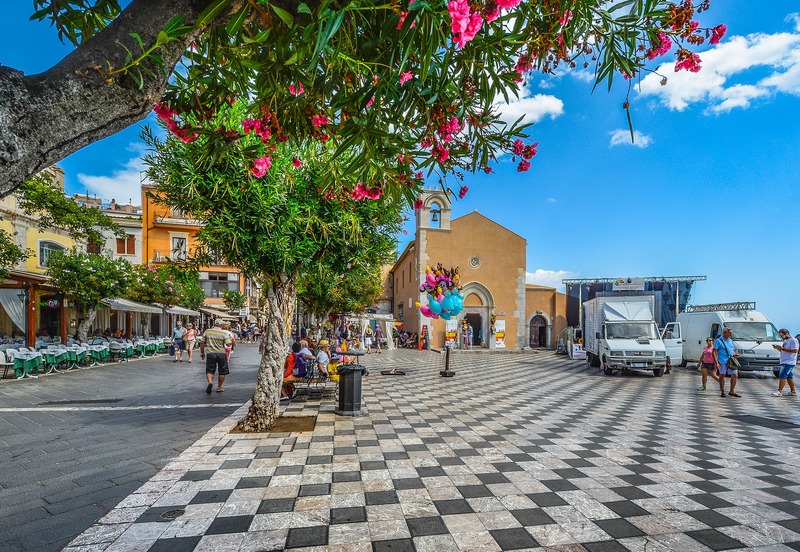 Siracusa is emerging as a destination for digital nomads, offering co-working spaces. A short hop from Sicily, Malta has a lot to offer to digital nomads: accommodation prices are reasonable, it has a modern infrastructure while retaining a lot of character. Plus, English is one of the official languages in the island. Bulgaria is becoming a hot spot for digital nomads with its excellent fast internet, mild climate (in the South), availability of affordable accommodation and co-working spaces and a thriving cultural scene. Plovdiv, in particular, has been described as “the Chiang Mai of Europe”. What Destination Will You Choose? This was just a small selection of places to consider as a digital nomad. What factors are more important for you when choosing a winter destination? Please join the Digital Nomad Europe mailing list for more information.